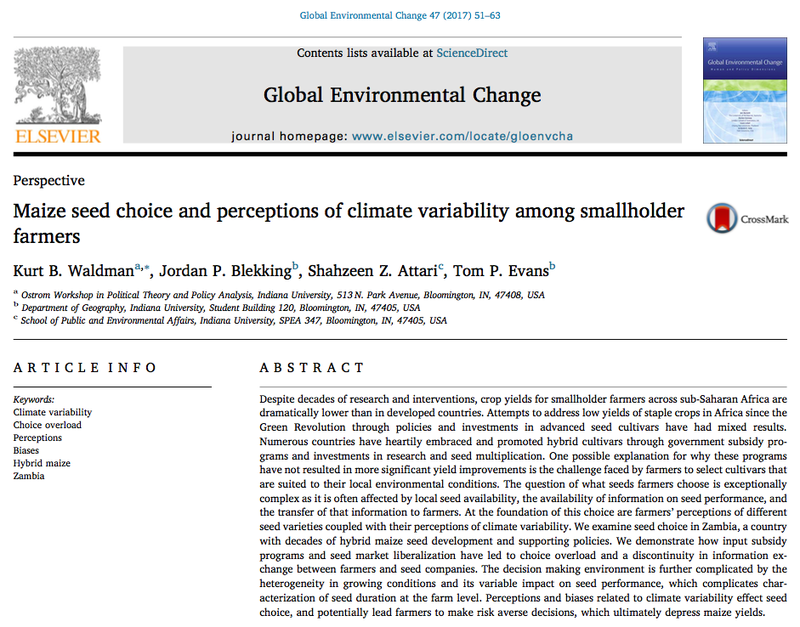 Kurt Waldman leads on a new paper published in Global Environmental Change. Results highlight smallholder farmer seed and climate perceptions in Southern Zambia. Congrats Kurt, Jordan, and Tom!